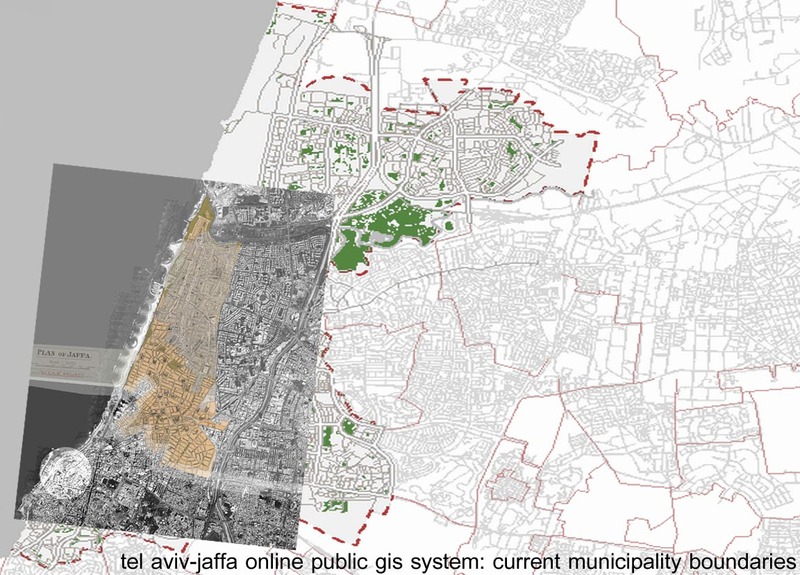 Tel Aviv – Jaffa presents a context in which the conflict between presence and history is sustained, and ahistorical claims are continuously in question. Born as a suburb of the Arab city of Jaffa, Tel Aviv soon grew into a major urban center for Israel, consuming the original city and extending beyond its borders. Designed (urbanistically) by Sir Patrick Geddes, the city of Tel Aviv was developed in the 1930s principally by European architects emigrating to Palestine, who brought with them various modern approaches to design that formed roots for the international style, for which the city is now (as a UNESCO World Heritage Site) famous. Geddes plan was based on a Garden City concept that emphasized the residential block amidst ample space for foliage (Geddes was also a botanist). Its White City was designated a UNESCO World Heritage Site in 2003 for its 4000 International Style buildings, which renewed its identification as a modern city and opened tensions between the decay of the modernist project and the desire for preservation.1 Located in a contested territory, this city, in its inception and subsequent development, established legitimacy through difference, intentionally avoiding local, Arabic customs. Although it was built as a pristine model, devoid of past, it grew as a cultural hub, a center for Israeli culture in Palestine, prior to the 1967 Six Day War when Jerusalem was occupied by Israel. As right wing politics rely heavily on Jerusalem for its place in a Jewish nation, Tel Aviv has become the ahistorical center of an Israeli culture, and Tel Aviv continues to use its modernist roots as a basis for its disentanglement from the Israeli-Palestinian conflict. However, its roots are older than the conflict. 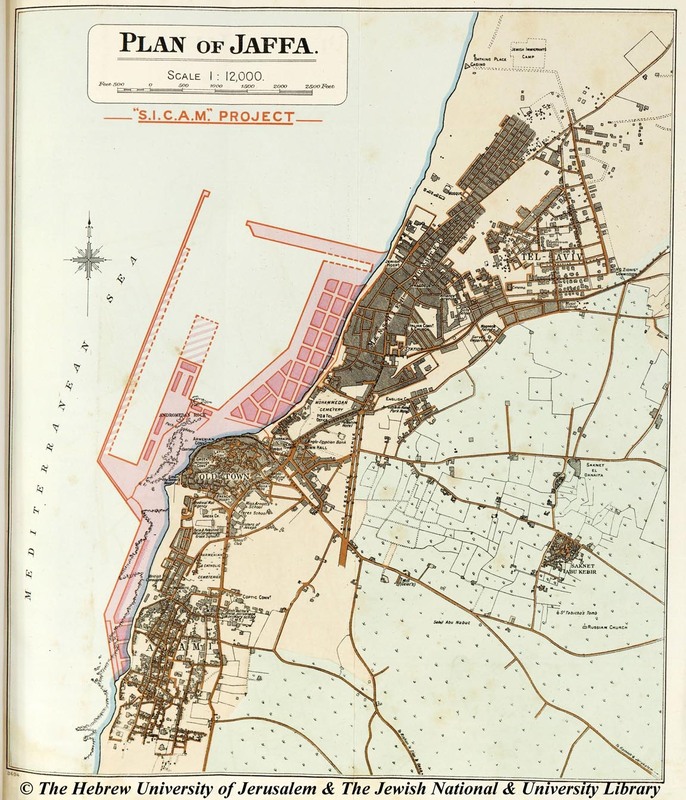 As it has grown, each of the regions around Tel Aviv—Jaffa, older Christian, Arab, Jewish settlements—were absorbed into the city, despite the fact that they were seen as peripheral or antagonistic to the city itself.2 Now it is politically and economically bound to the metropolitan agglomeration. 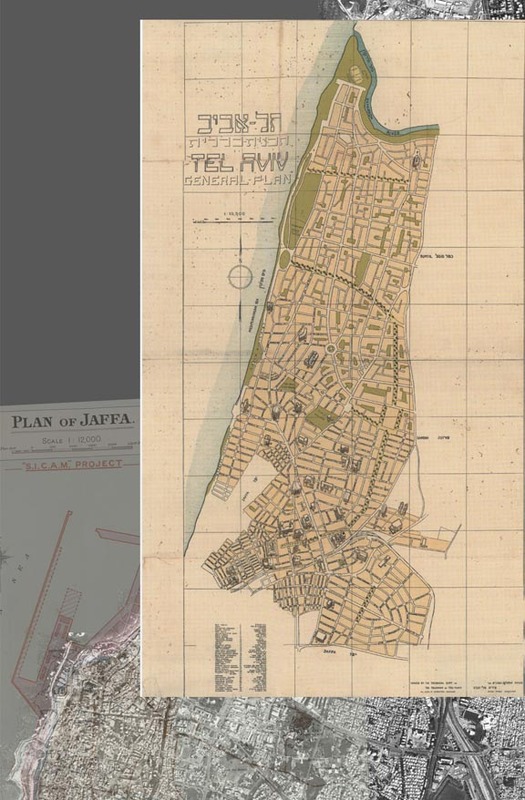 1 Alona Nitzan-Shiftan, “The Walled City and the White City: The Construction of the Tel Aviv/Jerusalem Dichotomoy,” Re-Urbanism: Transforming Capitals, Pespecta, Vol. 39, Cambridge, Mass. : The MIT Press, 2007, pp. 94. 2 Barbara E. Mann, A Place in History: Modernism, Tel Aviv, and the Creation of Jewish Urban Space. (Stanford, Calif.: Stanford University Press, 2006), 191. Tel Aviv grew as a series of Jewish suburbs of the town of Jaffa (formerly Joppa), a Palestinian port along the Mediterranean coast. The land on which the city was built comprised mostly of sand dunes and small brush. With little value for Palestinians, it was easy for emigrating Jewish to obtain. Further inland, almost all of the olive orchards had recently been destroyed by the Ottoman Empire to supply railroad ties for its new train system, and Arab landowners were more willing than in other areas of Palestine to sell their now fruitless land. In the 1930s and 40s many European educated Jewish architects and planners migrated to Tel Aviv. Geddes’ plan established the grain of the city, which he arranged around a series of blocks that each contained a central garden. Around these gardens, 2 or 3 story freestanding apartment buildings sat in their lots, surrounded by green in a small setback. 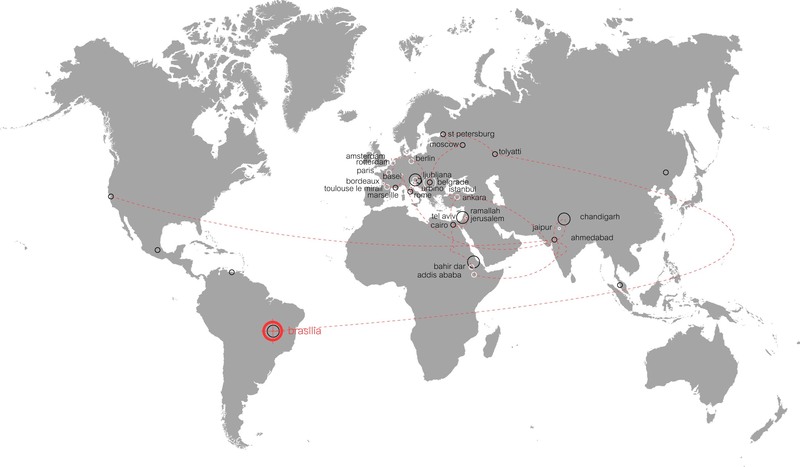 At the district level the plan adopted a dense form of Garden City principles, while early variations of the international style guided the buildings. Geddes’ plan was more traditional than the buildings that filled it, but ultimately its reliance on smaller buildings in close proximity created the framework for a rich urban fabric. Tel Aviv has certainly grown beyond its boundaries, but within the plan, an influx of money and people (and people with money) has brought back to life many of its decaying areas. Every inch of space is vied for, and each open area holds multiple uses throughout the day. Creative acquisitions pepper the streets as buildings are annexed, sidewalks closed in, and green spaces turned to display shelves. Commercial activity, largely left out of the original picture, (because Tel Aviv was to be a suburb) runs rampant, dictating the form and character of the public, and sometimes private spaces of the city. At the district level I will examine the infrastructure…primary zoning designations as compared with the current uses. These explorations will be specific to the various sectors of the city, focusing on a comparing the differences of the city core and the white city with the fringe of Tel Aviv and the northern white city. At the scale of the street I can observe changes in marketing of spaces, and adaptations along the street’s uses as well as changes in layout in newer areas of the city. At the building scale I will look at specific changes in the originally 2 or 3 story apartment buildings that have absorbed tectonic, spatial and programmatic shifts, how these alterations occurred, and their implications for the city. See Tel Aviv for posts on my findings in the city.